Made up of more than 250 leaves of high quality vellum, (i.e. 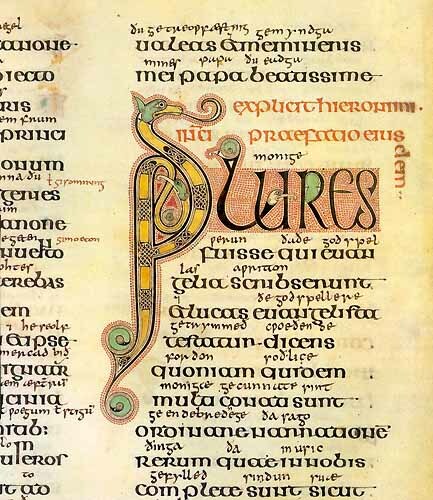 calf skin), the manuscript contains the texts of the Four Gospels, in Latin, with appropriate introductory material, including a set of Canon Tables. 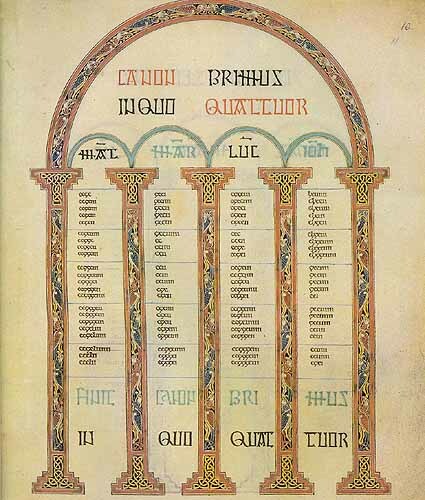 A word by word translation into Old English, (Anglo-Saxon), was added between the lines during the third quarter of the 10th century by a priest named Aldred, afterwards Provost of Chester-le-Street, giving us, in addition, the earliest surviving version of the gospels in any form of the English language. The rich decoration of the book is carried out in a wide range of colours drawn from animal, vegetable and mineral sources, some of which were imported over vast distances. 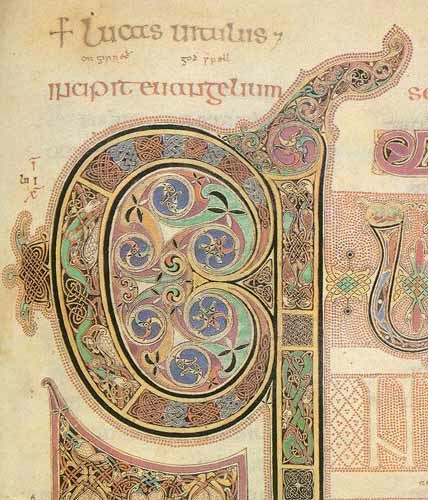 Fifteen elaborate fully decorated pages are supplemented by a series of lesser decorated initials and sixteen pages of canon table arcades. 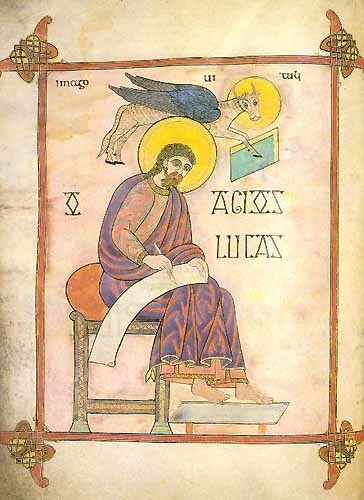 Each Gospel is distinguished by an image of the appropriate evangelist, followed by a 'cross carpet' page of pure decoration and a major initial page. 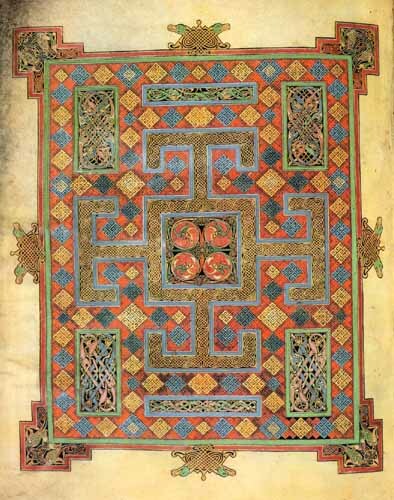 St. Luke's cross carpet page. with The British Library by Phaidon, Oxford - ISBN 0 7148 2148 9.